It’s taken me some time but wanted to make sure I got the best I could. Well happy as I picked her up yesterday - Lapis Blue, 46k miles, 3 owners and full OPC history. It’s a good story too as I wanted to buy this car a couple of years back as it’s 2nd owner was known to me but I couldn’t quite do the deal at the time. Luck was on my side though and I managed to track it down and get a deal done this time around. The colour is gorgeous and I personally think the red calipers really compliment the deep blue. Couple of things need doing; needs a new front centre rad and one of the suspension bushes is starting to deteriorate, having just come out of the 996 turbo I’m not fazed this and actually quite like getting involved myself - I’ll post up when I’m doing this. The paint needs a good polish too, I’m fussy and love a clay bar!! Nice one, you’ll love it. Some cars, a truck & a motorbike. Definitely get that sorted in the next few weeks👍🏼 Boxhill area? Sounds good if you know some good routes etc. Give me a shout. 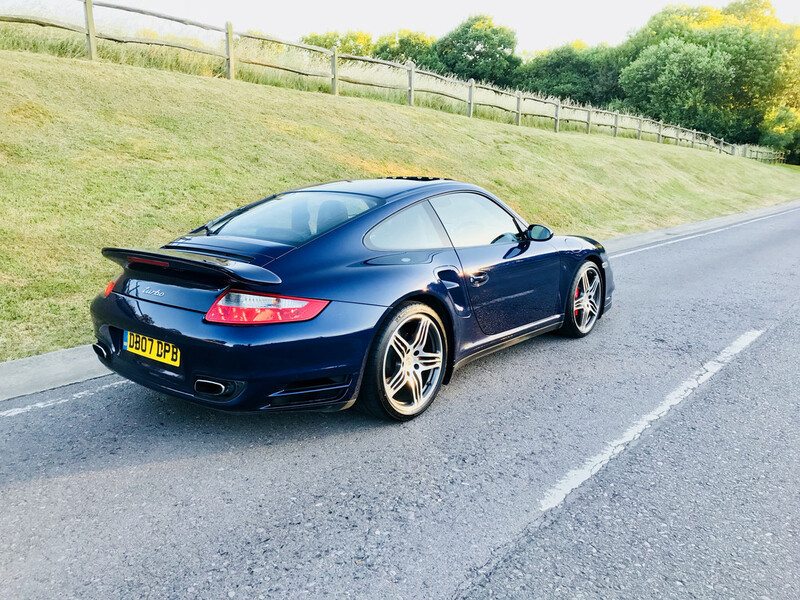 Nick all 911s are special cars , I have never enjoyed driving a car as much as my two 997s they are just such amazing drivers cars . It's a rare car. 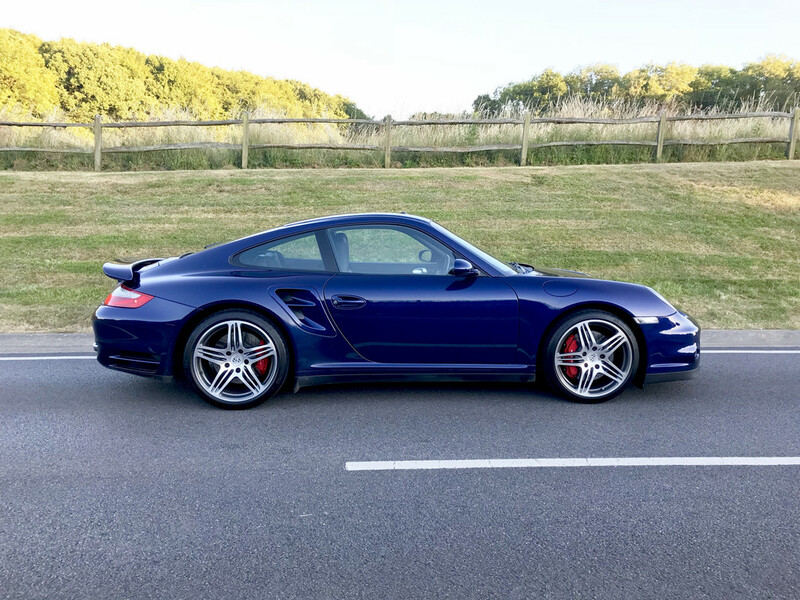 I'm not sure I've ever seen a Lapis Blue 997T. How does it compare dinamically to its older brother? I have promised myself to use mine more this year as they are great driving machines. Not sure why some say the Turbo is too quick for the road as they are truely happy at any speed. One thing I would look at would be the fitting of a quality sports exhaust and replacement of any associated fixings with better quality items. Stealth is fine but they do need an uprated soundtrack in my mind. Ooh... Nice colour. Don’t think I’ve ever seen a 997 Turbo in Lapis Blue. Most blue ones seem to be Cobalt. That is such a nice looking car. I love lapis blue! Hope you're enjoying it!